What is a Drone or Quadcopter - and what is the state of the art? You are here: Home / Guides / 2012 and 2013 – The REAL Rise of the Drones! 2012 and 2013 – The REAL Rise of the Drones! 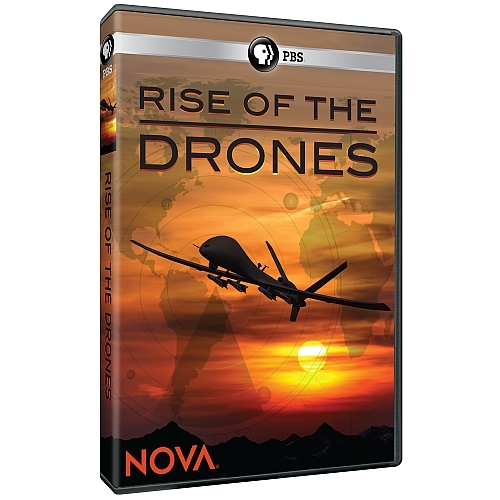 A recent NOVA special entitled Rise of the Drones was quite informative on the emerging technology, although much more focused on the Military and surveillance angle. Rise of the Drones – 2013 is the year of the Quadcopter and Multirotor! The program can be watched online or on your favorite PBS station. However, there is another revolution in these aircraft occurring right now! They go by many names – Quadcopters, Multirotors, UAV’s and even “toys”, but these amazing pieces of technology are very real and are about to transform our world and our lives in many ways. What’s more, you and I and others who are hobbyists, photographers, pilots and/or just have interest in technology can participate in this revolution at a very low cost. Read more after the break…. This site, Droneflyers.com, is in the process of a vast expansion which will help the general public understand and participate in the coming revolution. In the next few months we will be adding forums, galleries, videos, articles and relevant links for those who want to be educated on the subject. Our forum will be on consumer, photographer, hobbyist and very light commercial multicopters (Quadcopters, Octocopters, etc. We will also be focusing on the prebuilt (RTF – ready to fly) segment of the market, although I am certain we will also have many discussion regarding modifications and kit-built units. However, part of the revolution involves bring technology to the masses – and, in truth, most people don’t have many hours per week to devote to soldering, testing and procuring parts. So, where are we now and where are we headed soon? 2012 saw explosive growth in the market and technology, as costs have gone down and capabilities have gone up. Much of this was driven by lower prices for the important electronic components – which was driven by the rise of hundreds of millions of smartphones and game machines! This include devices called accelerometers, gyroscopes and GPS which help keep your drone flying! Cameras are also getting smaller and smaller, again driven by the market for millions of them inside smartphones. As a quick guide, let’s discuss the low end, the middle end and the slightly higher end of the low cost consumer market for Quadcopters as it sits at the start of 2013…..as this article link says, the private quadcopter market in 2013 is like Apple Computer in 1984! If you are game to enter this hobby, check out our article on the best first quadcopter(s) and/or the 10 best quadcopters (some are for beginners). Yuneec Typhoon H Hexacopter – Is it for you?